← Raspberries, here at last! 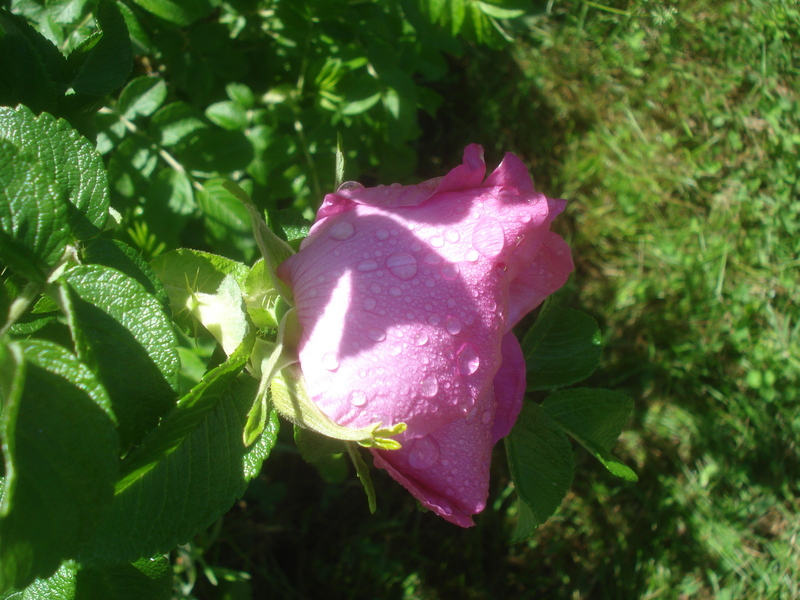 Of all the plants that might be called brambles, I think roses are the loveliest. A few winters back I satisfied my desire to see things grow by starting some rose seeds from hips collected at the town park. I had an idea that they could make a beautiful and daunting barrier between the road and my berry patch. Well, it turns out that what I really need is a tall barrier that can block road dust from drifting and settling on the berries. I thought about digging the roses out – maybe transplanting them somewhere near where I park, but I never got to it. 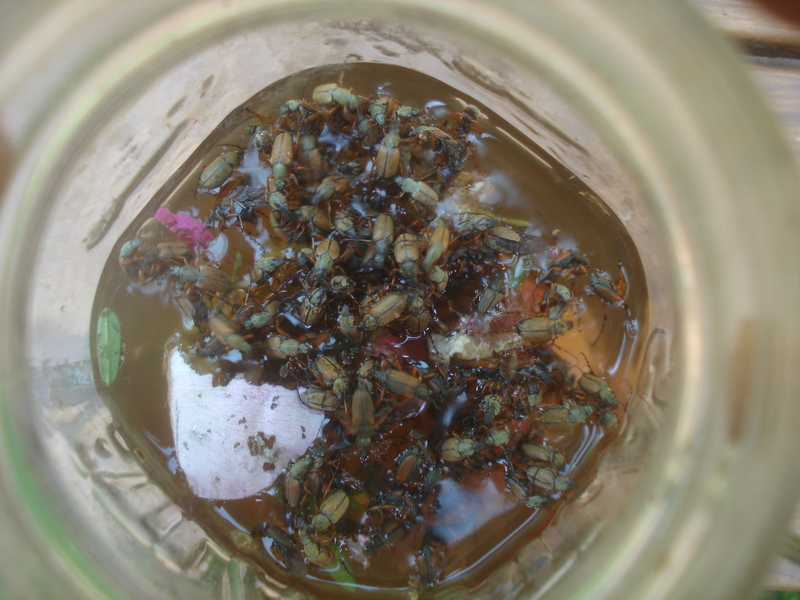 Then one afternoon as I was preparing for the farmers market, I decided to clip a bouquet of roses and found them completely infested with beetles! I grabbed a jar of water and knocked the little buggers into it. My dismay gradually changed in to satisfaction as I realized that I had inadvertently planted a ‘trap crop.’ These beetles – Rose Chafers – eat apple tree leaves, garden flowers, raspberry fruit and leaves, pretty much whatever is growing, but they love roses the best. The berry plants nearest the roses were completely unharmed by the beetles, and as long as I collet the bugs every morning they stay that way. This is organic agriculture at its best! They’re not so pretty right now. They sacrifice their beauty for the berries. They are setting nice hips right now.